Pokémon Go's worldwide success has understandably got brands pondering how they can tap in the hysteria surrounding all things Pokéballs and Pokéstops. While some observers may see the augmented reality game as an accident waiting to happen (a fate which has befallen several few inattentive players), charity Missing People believe the app can help find more than pixelated monsters. Created by BBH Barn, a new campaign aims to raise awareness of missing people in areas frequented by Pokémon Go players. With the game's objectives located in parks, public spaces, and local amenities, Go's five-million-plus UK playerbase also finds itself going off the beaten track. With two-hundred-and-fifty-thousand people going missing each year according to the charity, suddenly this becomes a serious numbers game. A new kind of search party. To help tune players into the campaign, vinyl posters inspired by the franchise's iconography each feature a missing person along with the charity's phone number. Posters have also been placed on the ground to catch the eye, so the organisation has all angles covered. By targeting Pokémon Go hotspots, major transport links, and last known locations, the charity hope geographical smarts will produce results. 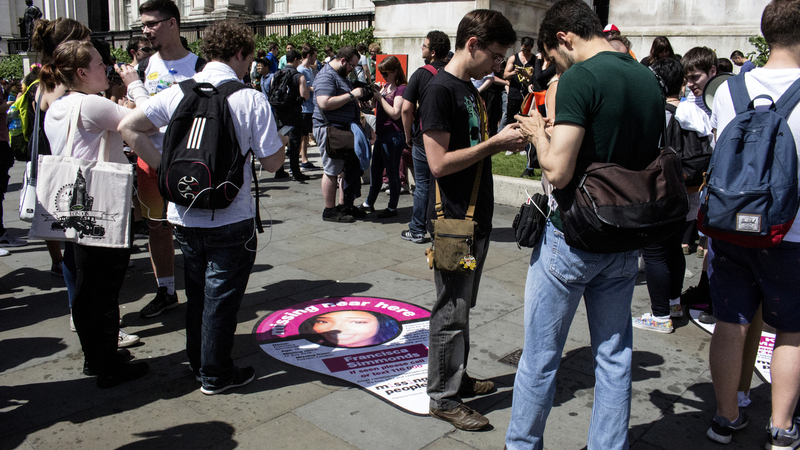 While the likes of the NSPCC rightly encourage caution for vulnerable players, Pokémon Go's emphasis on exploration and social interaction lends itself well to more altruistic goals, and the charity will hope to guide eyes towards finding those in dire need of being found. If the campaign can inspire similar results to this band of Pokemon hunters finding a lost French woman, then worried friends and family will be given something even more satisfying than catching a Pikachu on the High Street. And even if the numbers of people who are found is quite small - as seems likely - this initiative will nonetheless draw attention to a serious and growing problem in modern society.